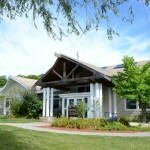 Established in 1983, the Tufts Wildlife Clinic at Cummings School of Veterinary Medicine provides medical care for orphaned, sick, and injured New England wildlife. Individual animals are brought to the clinic by concerned citizens, local wildlife rehabilitators, and regional, state, and federal fish and wildlife agencies. Approximately 2,000 wildlife patients are admitted each year, including animals that are designated as threatened or endangered species, with the ultimate goal of release back into their native habitat. The clinic is housed in the Bernice Barbour Wildlife Medicine Building, with state of the art animal care and medical facilities. Working in a clinic specifically designed for wildlife care enables participants to provide optimal treatment for all patients. The practice of wildlife medicine requires clinicians and students to apply knowledge gained from a solid foundation in domestic animal medicine to a diversity of wildlife species. These include a wide variety of native amphibians, reptiles, birds and mammals. Students gain experience in handling and restraint, diagnostic and therapeutic techniques, and making decisions about case management. Tufts Wildlife Clinic educates two groups of veterinary students. For those students who wish to make their careers in wildlife, zoo or environmental fields, the clinic provides a wide range of core courses, elective courses, rotation experiences and opportunities to work in their chosen wildlife field. But even for those students not interested in those careers, the core education insures that all Cummings School graduates are exposed to the basics of wildlife medicine and are aware of the larger environmental issues that surround the animals in their care. This enables these graduates to act as knowledgeable resources in wildlife medicine for their communities. In addition to educating students and practicing veterinarians about wildlife-related issues, Tufts Wildlife Clinic also works to educate non-veterinary audiences, wildlife biologists, wildlife rehabilitators, educators, and policy makers about wildlife and conservation issues and the roles that veterinary medicine can play in responsible conservation. Tufts Wildlife Clinic faculty and staff regularly lecture and provide consultation services for these varied groups. Student projects have revealed troubling antibiotic resistance patterns in admitted wildlife patients. These findings reflect a larger concern in the medical community about the increasing development of resistant bacteria. Clinic personnel are taking the lead in working with a number of state agencies to monitor infectious agents, such as West Nile Virus and tularemia, in live and dead wild animals. This effort is part of a larger program aimed at the detection of potential agents of bioterrorism. An ongoing study on mortality of common loons has shown lead fishing gear to be the most frequent cause of mortality in adult loons in New England's freshwater lakes and ponds. This study is credited with initiating legislation in several states banning the sale or use of lead fishing gear. Studies examining the levels of anticoagulant rodenticides in birds of prey admitted to the Wildlife Clinic have revealed the widespread use of these pesticides, with subsequent secondary poisoning in these birds. This study has contributed to changes in the availability of certain rodenticides as authorized by the EPA. The Seabird Ecological Assessment Network (SEANET), a project coordinated by clinic personnel, is a network of researchers, citizen scientists, veterinarians, and wildlife rehabilitators who work together to monitor the health of the marine environment from Atlantic Canada down to Delaware Bay. A database of information regarding seabird populations and threats to population health is being compiled. Volunteers conduct beached bird surveys to obtain real time information on causes of seabird mortality. The combined efforts of teaching, outreach and research activities are all important components of the Wildlife Medicine Program. Students have a unique opportunity to participate in any of these activities as part of their veterinary school curriculum. Upon graduation, all students should understand the importance of healthy wildlife populations, serve as responsible sources of wildlife-related information for their communities, and be able to balance the often conflicting needs of wildlife, domestic animals and humans.